Sustainability is already an important theme within the spheres of operations, research, and student life at McGill. It has also emerged as an important force in the academic sphere, but it is generally relegated to specific programs or courses that only reach a limited number of students with a professed interest in this area. Coursework is the ideal avenue through which to reach all students at McGill. 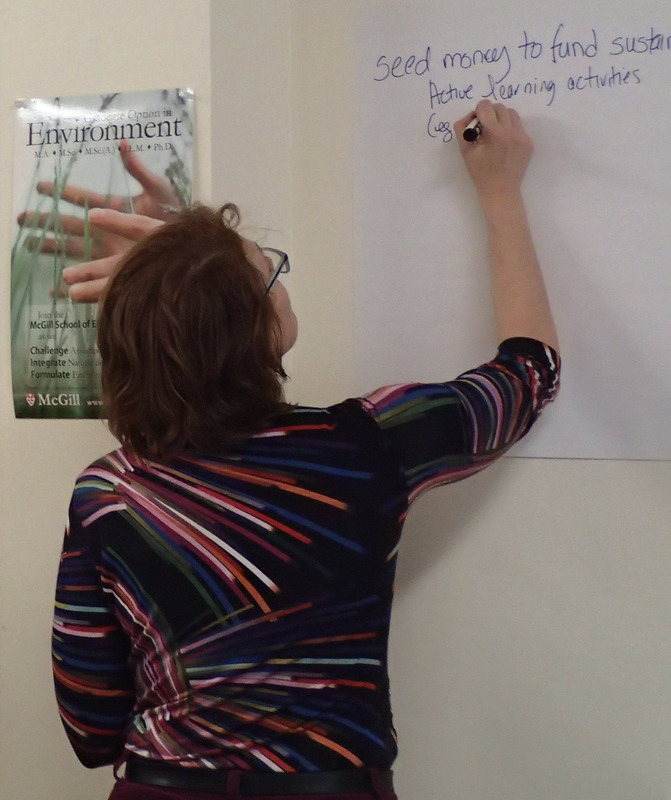 Determining how to integrate sustainability into coursework is a complex process and thus requires that instructors have the time and support necessary for designing or redesigning their courses and programs in ways that promote meaningful student learning in sustainability. Goal: Transform approaches to teaching within coursework so all McGill students, upon completion of their degrees, will be engaged citizens with the knowledge, skills, and perspectives necessary to address the goals of Vision 2020 and the grand challenges of the 21st century. Project: A network of learning communities (LCs) whose members take an inquiry-guided approach to discovering how best to integrate sustainability into courses and/or programs. Pilot project launched with faculty and students from Faculty of Agricultural and Environmental Sciences (FAES) and Department of Integrated Studies in Education (DISE). Integrated the expertise of individual members by documenting their approaches to integrating sustainability into the undergraduate experience. This was done through one-on- one interviews. Developed a benchmarking report focusing on initiatives that linked teaching, learning and sustainability (mostly focusing on G15 institutions). TLS hosted a university-wide symposium where we started a conversation about learning outcomes related to social, economic, and ecological responsibility and how they can be translated into actual learning experiences for McGill students. This learning community acted as incubator for ideas and strategies for this event.